Especially the part that both Steve Wozniak & Steve Jobs are still on good, cordial terms. Hey Steve. If you read this website then let me inform you. You didn’t change the world. The personal computer was here before you guys showed up. While Apple-people do tend to overexagerate the role Apple played in bringing computers to the masses (not too dissimilar from Microsofties), Apple did play a significant role in making them usable. Woz’ engineering skills in integrating colour graphics was a key element. Anyway, this interview is much too brief for my taste. I don’t think you can really argue that the apple 2 wasn’t the first commercially available, affordable example of what we would today consider a personal computer. A few of the machines on that page would likely be classified today as work stations. $5k is a bit much for me, or most other people to drop on a computer. To achieve critical mass, a personal computer really needs to be below the $1000 mark, something apple forgot for a long time. Most of the machines on that page are essentially just processors in a box, with no easy way for an average person to get it going, being intended mainly for hobbyists or enthusiasts. Indeed, the machine that they point out as first (the Simon) was a kit machine in this category. Others are (as it points out) basically just prototypes. 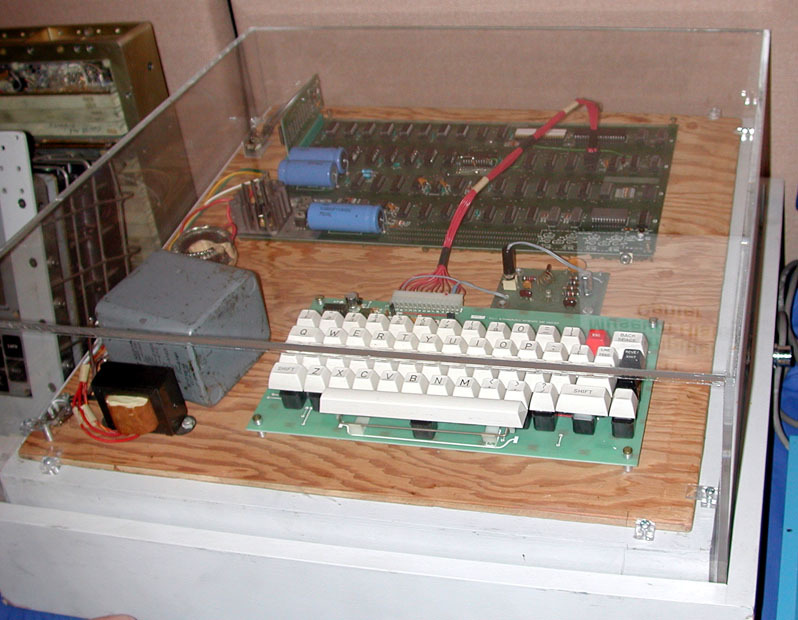 Which while interesting, didn’t make an impact the way that the apple 2 did. Also, TWIT48 was probably better since it had a number of early apple employees including Wozniak talking about the Apple 1, 2, and Mac. The Commodore PET predated the IBM PC by four years in 1977. It was the first truly usable personal computer. While the Apple I existed, we all know it was hardly a usable machine. No one said “We invented computing” but they did change it. They gained mindshare and had a great product that was easy to use that didn’t require you to learn DOS commands and you didn’t have to build it from a kit. No, they didn’t invent that idea either.. but they made it into the minds of the people. Computing became a common place thing. Sure, had they not been there, it probably would have been another company, but the assertion that they changed the world is correct IMO. It was Compaq that changed the world. Because what Compaq did led to open hardware. Without open hardware we would not be reading this. Google would not be running cheaply on generic stuff. You would not have generic parts anyone can plug into any machine. Open hardware was one innovation Apple has resolutely turned its back on for 30 years. If the Apple model had won, and thank goodness it didn’t, there would be islands of software+hardware locked down by incompatible manufacturers whose main object would be to keep others out and limit our ability to switch. It would all be done in the name of the integrated experience of course. We can be glad it didn’t happen that way. Anyone who influences public procurement has a duty to make sure it never does. OS of your choice, on the hardware of your choice! buy that part and replace it myself. I like apple though, just because everyone cant afford a Porche is no reason it should not be manufactured. Thank god we have “integrated experience” for toasters and washing machines..
BTW: Actually, your kind of choice is rather limited. There’s no such thing as “open hardware”. Ever run Windows on a SPARC? Mobile Me: An Apple Phone?